Google Re-Releases Search Engine As It Was In The Year 2001. Try It Now. 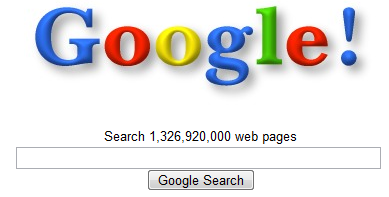 As part of 10th birthday celebration, Google re-released antique version of its search engine that dates back to 2001. The search engine looks very classic with the old logo and missing of many features that are available in the current version. This search results are based on the index built during early 2001 with few trimmings that are required to delete the dead pages and other unwanted stuff. Point your browser to http://www.google.com/search2001.html and google through the web index for the good old time sake. 2 Comments on Google Re-Releases Search Engine As It Was In The Year 2001. Try It Now. Amit, you made interesting observations in the post. Good work. hey buddy, I have just made a post on some of the fun queries that needs to be tried on the old google’s index.